Note that this post also concerns IL. In railML3.1rc2 <signalIS>@type values overlapping with <signalIL>@signalFunction have been removed. While I agree that the enumeration lists for these (and other parallel properties in IS and IL) should not overlap, I think that the issue runs deeper in this case. 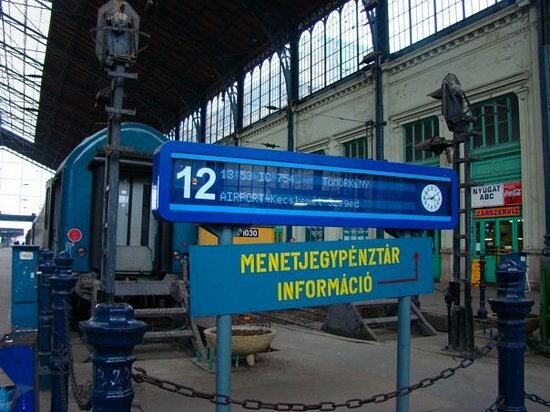 "departure": A signal indicating that a passenger train is ready to leave the station. "stop": In general, this sign marks a position on a track, where a train needs to stop. 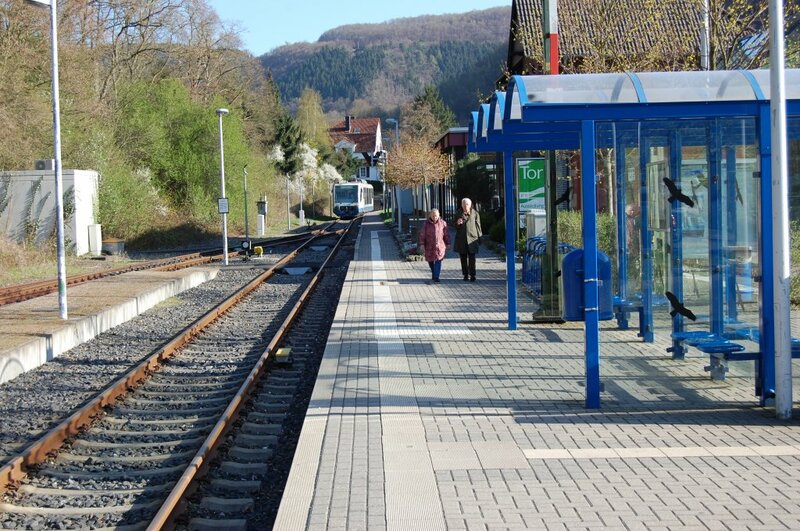 In most cases it indicates the position where a passenger train should stop at a platform (stopPost). On branch lines with simplified operational rules, this signal may also be used to mark a position where a train has to stop to wait for a permission to proceed. Made redundant by <isStopPost>. "levelCrossing": a level crossing signal Made redundant by <isLevelCrossingSignal>. "electricity": A sign/board for electric locomotives indicating when and where the pantograph or other collector needs to be lowered. Made redundant by <isCatenarySignal>. "radio": A sign/board providing instructions on train radio usage. "speed": a speed sign/board Made redundant by <isSpeedSignal>. The remaining values for <signalIS>@type seem quite arbitrary and oddly specific while still missing information necessary for a meaningful interpretation. My best suggestion is to replace the attribute with a structured variant of the 2.x @ruleCode (<designator>? ), and create further isXXX where necessary. This list mixes two separate sets of values, as one signal can be for instance a main exit signal. While "main", "repeater", "distant" and "shunting" are hierarchical types of signals, "block", "exit", "intermediate" and "entry" describe the role or function of a (main) signal (in a route). (I am not familiar with the three remaining values.) The first set of values should be assigned to a separate attribute. Since these are normally physically different signal types, maybe they also belong in IS? Furthermore, <signalIS>@virtual was moved to a new enumeration value in <signalIS>/<signalConstruction>@type (with values "virtual", "semaphore" and "light"), but there is also still a <signalIL>@isVirtual attribute. So one of these is probably still redundant. Additionally, <signalIS>@switchable is also related to <signalConstruction>@type as it is "set TRUE if the signal is able to show several signal aspects, set FALSE if the signal is a static panel that always shows the same signal aspect" (my emphasis). To me it seems even more logical to include "board" than "virtual" in the list, and consequently remove @switchable. Lastly, according to the annotation on <signalIL>@isVirtual "boards that are not wired to the interlocking can be labelled virtual." As virtual means "not physically existing", an actual board is not virtual. If the attribute is supposed to specify if the signal is wired to the interlocking or not the attribute should be renamed. Alternatively a new attribute can be added, or the information can be determined from the properties of the referenced <signalIS>. <signalIS>@type is about the physical types of objects one will call "signal"
a normal signal for train traffic protection which is neither used as block, entry, exit nor intermediate signal." interlocking only signals. In that sense they are physical outside but virtual for the interlocking. Whereas <signalIS>/<signalConstruction>@type="virtual" really means no physical object outside. <signalIS>@switchable is a real addition to <signalConstruction>@type because there are signals of type "semaphore"
can assume they are always switchable. > where the pantograph or other collector needs to be lowered. > sign/board Made redundant by <isSpeedSignal>. > further isXXX where necessary. > these is probably still redundant. As Jörg already wrote: we used two different definition of "virtual". "non-switchable semaphore signal". The enumeration value "semaphore"
Thank you for your replies, which helped me untangle some of the IS and IL issues from each other. I will therefore reply to the IL issues in the interlocking thread. I agree, but the remaining <signalIS>@type values describe a small minority of signals. The remaining attribute values in IS are insufficient for describing the majority of signals. The @type values that were removed with RC2 describe signal types that are normally physically different. My first reaction was therefore that it was odd to move this physical description from IS to IL. There are many possible ways to draw the border between IS and IL, and I am more concerned with the available modelling space as a whole and not with exactly where the border is drawn. Signals are especially tricky, as some of the physical differences we are used to are only there to make it easy to distinguish different functional types of signals. So I am reconsidering my initial reaction. Still, we need a way to generically describe the physical type of a signal. I suggest that we fully embrace the approach of using subelements for different types of signals, and <signalConstruction>@type to categorise the physical type of signal. Consequently I also suggest to remove <signalIS>@type. The functional role of a signal is specified in IL. I find it hard to believe that you have semaphore signals where the arms cannot be moved to display different aspects, unless this is just a matter of the signal being out of service (disabled). Do you have a visual example of a non-switchable semaphore signal? I think the list of types should be extended with (at least) "board", "pole" and "other:*", and maybe also "lamp" and "flag" (which are movable and therefore harder to model). Switch indicators, like semaphores, are mechanical signals, so maybe it is better to replace "semaphore" with "mechanical"? Should we also distinguish between light signals that switch colour, light signals that turn on and off, and other (positional or shaped) light signals? Looking at railML2.4nor, there are also two attributes that I hope can be included in railML 3.1, with adjustments of the implementation if necessary: @nor:lamps (integer number of [independent] lamps a signal has) and @nor:mounted (enumerated list of possible mounts for a signal, currently "pole", "gantry" and "other:*", could also include "wall", "ground" etc.). Create element <signalIS>/<isFoulingPoint> with reference to corresponding <switchIS> or <crossing>. Create element <signalIS>/<isRadioSignal> which also describes what kind of radio signal this is (i.e. what instructions it provides). Add optional (and repeatable?) <signalIS>/<ruleCode> (feel free to suggest better name), of type rail3:Designator. Add <signalConstruction>@type values "board", "pole", "lamp", "flag" and rail3:tOtherEnumerationValue. Rename "semaphore" to "mechanical". Add new optional attribute <signalConstruction>@numberOfLamps describing the number of individual lamps in a light signal (one lamp may consist of several bulbs for redundancy). Add new optional attribute <signalConstruction>@mountedOn with enumerated values "pole", "gantry", "wall", "ground" and rail3:tOtherEnumerationValue. switchable signal makes no sense. passenger level crossing at the end of the platform. via train radio from the dispatcher. In my opinion the combined approach leaves the type attribute completely redundant. As posted above I suggest to remove it and only use the child elements. If more detailed information is not available, the element may be empty. Keeping both leaves two separate ways to model the same information, increasing the load on both reading and writing systems. be extended due to the "otherEnumerationValue" extension. Yes it can be extended but those values will not have a coordinated interpretation. Now that the most important values have found other homes, I think the attribute can be removed, as already suggested. I do not understand why you consider a board to be a semaphore signal. A semaphore, by definition, conveys its meaning using the positions of its arms. A board is a separate signal type. It has no arms and does not fit the definition of a semaphore. Is this a German generalisation? Also, Tobias shows an example of a non-switchable semaphore (which is not a board). Even if only one of Tobias' examples is a semaphore, he illustrates well the use of different types of non-switchable and non-board signals. In Norway these would be separate signal types, but I agree that there is a use case for @switchable. This probably also removes the need for a <signalConstruction>@type="lamp" value. However, the documentation has to be amended so that @switchable="false" does not necessarily imply a panel/board. I would like to suggest an extension to the signal model in railML3. It is good that we have the sub element designator with the register + entry attributes. Thus, we can always uniquely define a national signal. But the generic signal model seems to be very underwhelming. Leaving everything undefined for international interoperability. I would suggest grouping all signal in standard sub elements. These can of course be extended. Based on a quick analysis of the Norwegian signals viewed in a generic manner I would suggest 14 groups of signals. 4 of those are already defined in RC2. I suggest adding the following sub elements (bold are existing). See the following link ( https://forum.railml.org/userfiles/2019-02-18_jbd_signal-mod el-suggestion.pdf) for full value table for the types. I also suggest adding the @system attribute. Then the signal sub elements and their types are truly generic. They can then be interchangeable for different types of signalling systems (ATC, CTC, ETCS, Conventional/optical). See example for border. •	Border: Indicating a level transition. Type start/end. The system attribute defines the type of level transition (ATC,CTC, ETCS, Conventional/optical). •	danger: grouping all types of warning signals: avalanche, wind, frost gate, bridge, etc. •	gradient: indicating falling/rising gradient and other info. •	Info: general design info. Like arrows, invalid boards, and info panels. •	plow: orders for handling the equipment on the train. Here the plow. It would be interesting to see how other nations signal models would map to this. This would bring us closer to a unified solution. My suggestion is only a simple attempt on a unified mapping. > standard sub elements. These can of course be extended. > • Border: Indicating a level transition. Type start/end. > avalanche, wind, frost gate, bridge, etc. Is a fouling point (clearance post) also a danger signal? > • plow: orders for handling the equipment on the train. Some countries don't distinguish between shunting and train movements. >> one way or the other. > information is not available, the element may be empty. won't be necessary. So, are there any other opinions from the community? >> there any examples for non-switchable virtual signals? > definition of a semaphore. Is this a German generalisation? > (which is not a board). My proposal: extend <signalConstruction>@type with value "board". should have a complete picture, haven't we? > My proposal: extend <signalConstruction>@type with value "board". > should have a complete picture, haven't we? I have also suggested "pole" and rail3:tOtherEnumerationValue (and "flag" and "lamp", but ignore them for now). At least in Norway we have several signal poles (or posts), that do not have a board on them, but instead a colour pattern along the pole/post. So I still suggest to add "pole" (or "post"). I think we can ignore "flag" for now, and consider "lamp" a light signal. They are both used in Norway by local dispatchers, train staff and during maintenance. They can both be handheld, mounted in a support on the platform or in the tracks. But as they are movable, I do not know how to properly model their use. So we will probably have to continue modelling their effect virtually. But I still strongly suggest to add rail3:tOtherEnumerationValue. One board can refer to more than one element, so <refersToElement> should be a repeatable child element. 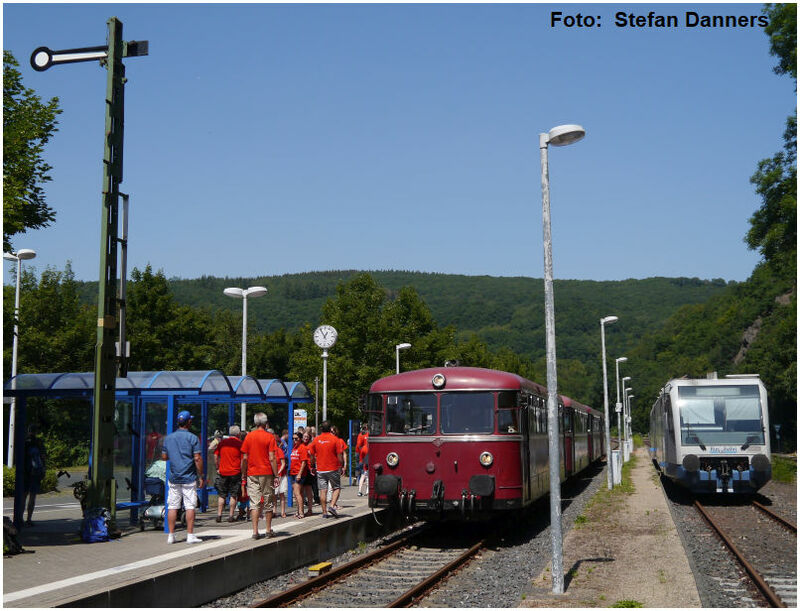 One example is the Norwegian signal 67D which refers to both a level crossing and a halt. One level crossing announcement signal (67B) can also refer to multiple level crossings (we have lines with more than two level crossings per kilometre, on average). > Is a fouling point (clearance post) also a danger signal? My question is: should this signal use different types depending on the use? Can we separate type of equipment and action? That would make it easier to categorise and to filter on all signals relevant for a given equipment kind. > * Add new optional attribute <signalConstruction>@numberOfLamps describing the number of individual lamps in a light signal (one lamp may consist of several bulbs for redundancy). > * Add new optional attribute <signalConstruction>@mountedOn with enumerated values "pole", "gantry", "wall", "ground" and rail3:tOtherEnumerationValue. Also remember to create child elements for signal types we do not have in Norway. From the current @type list, at least <isRadioSignal> seems relevant. > But the generic signal model seems to be very underwhelming. > full value table for the types. same post is not combined in that sense. The interlocking would see them as two separate signals. two possible aspects - stop/clear. interlocking will use it as a "supplementary" aspect together with the main aspect. > •	Border: Indicating a level transition. Type start/end. > •	plow: orders for handling the equipment on the train. Yes, this kind of mapping would be the community input we need.